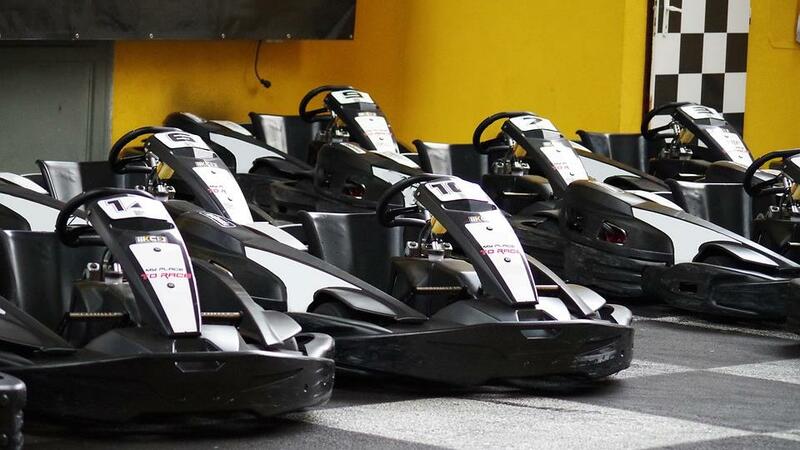 Sykart Indoor Racing Center has been focused on providing the best indoor go-karting experience in the Pacific NW. Our standard walk-in heat is comprised of a 10-minute race session with karts competing in head to head racing with winners determined by best lap time. Our Tukwila location offers a 1/4 mile track with high performance karts that travel at approximately 30 – 40mph on track. DRIVER’S BRIEFING – A Driver Briefing will be held after your entire party is registered, or before the scheduled Racing Start Time (whichever is earlier). Anyone not present for the Driver Briefing may not be able to participate in all of the scheduled races.